In his role as Director for Ignite Philanthropy, Patrick develops, implements, and refines the processes that enable Ignite to manage the hundreds of grants it facilitates each year. 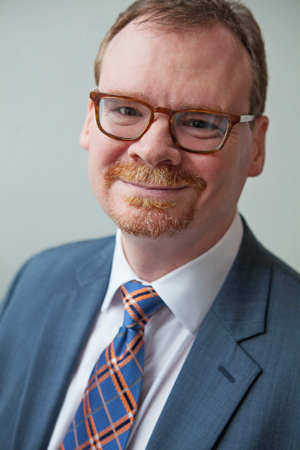 Before joining Ignite, Patrick worked as an academic librarian at Northern Kentucky University and as a law librarian for a large Cincinnati law firm. He then transitioned to an IT career where he focused on database and website development and administration. Patrick received his B.A. in English and Philosophy from Centre College and has Master’s degrees from the University of Virginia and the University of Kentucky. Along with Susan Ingmire, Patrick is a founding partner of Social Venture Partners Cincinnati (SVP), an organization that combines the concepts of collaborative giving with engaged philanthropy. His involvement with SVP includes serving on the board, the Investment Committee, the Fast Pitch Committee and Chair of the Marketing and Communications Committee. He is currently on the Board of the Cincinnati Shakespeare Company.